Luxe knows how important your wedding celebration is to you and your family. Let us make sure your event is a complete success. We’ll create a perfect atmosphere with our wide variety of wedding decor rentals in Michigan. Choose the perfect furniture, draperies, chair covers, and unique adornments to create the look you want. The Luxe designers will listen to your wants and needs and put together sample ideas to get you started. We can help you create a quaint and intimate get together or the over the top elegant celebration you’ll looking for. We can develop the look and feel you want while staying within your budget. You’re personal touch can make your celebration all the more special, so we make sure to give you lots of options to choose from. 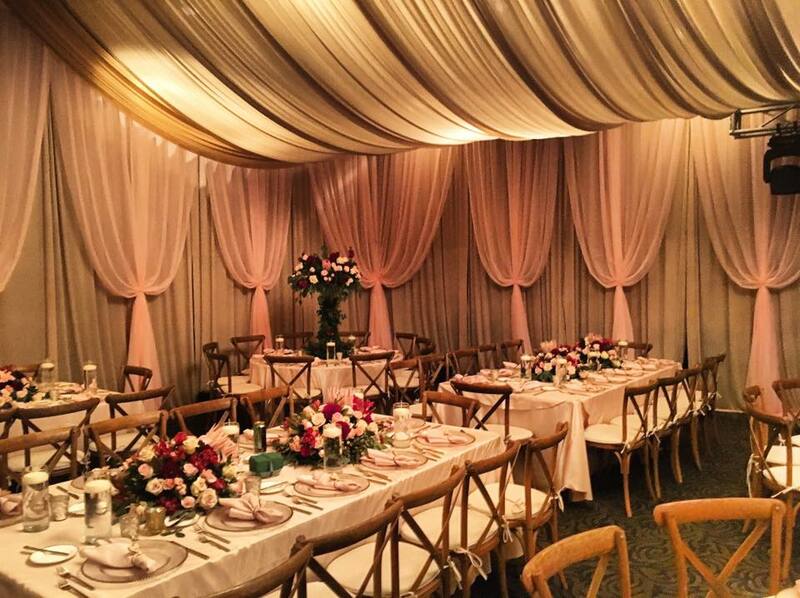 For high quality wedding decor rentals in Michigan, look to the experts at Luxe. We go above and beyond to give you the support you really need during planning. We’ll make sure your wedding has a look that is unmistakably you. Choose to add vibrant colors, a touch of luxury, some romantic elegance, or a little rustic charm. With our large selection of wedding decor rentals, you’ll be sure to find what you’re looking for. Because the Luxe designers help you at every stage of planning, they make sure every last detail is taken care of. Most importantly, we’ll help you create a unique seamless celebration. From furniture rental to draperies, we’ve got you covered. Find pieces that speak to you and make your special day uniquely you. Call Luxe today and get your planning started! We look forward to working with you.